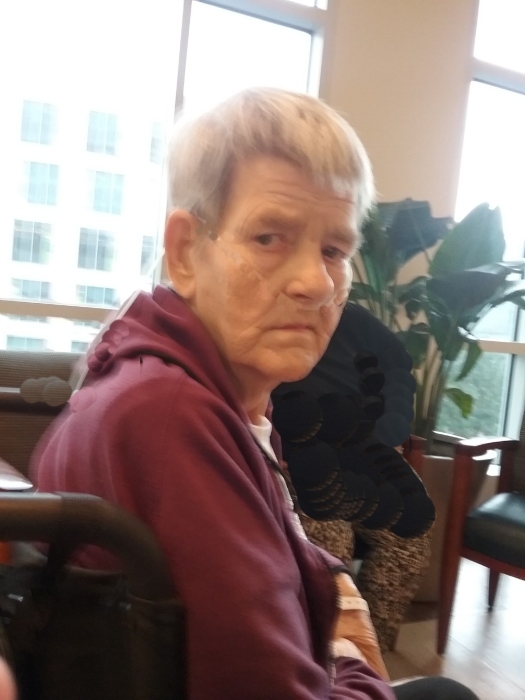 Ruby Jean Heath age 75 of Parkers Lake, Kentucky, widow of Starlin Heath, passed from this life on Wednesday, August 15, 2018 at the UK Medical Center in Lexington, Kentucky. She was born September 7, 1942 in Pulaski County, Kentucky to the late John Richardson and Sarah Elizabeth (Cook) Richardson. In addition to her parents, she is preceded in death by her husband, Starlin Heath; brothers, John, James, Charles, Andy, Tom, and Earl Richardson; and sisters, Flonnie Richardson and Mildred Brannon. Surviving family include her children, Wilburn Heath of Winfield, TN, Junior Heath (Amanda) of Whitley City, Wesley Heath (Heather) of Parkers Lake, Fred Heath (Sheena Dishman) of London, Jill Watson (David Vanover) of Parkers Lake, Teresa Sexton (John Coffey) of the Day Ridge Community, Mark Coffey (Velma Coe) of the Wiburg Loop Community, Linda Nice of Stearns, Belinda Richardson of Monticello, Vickie Stigall of Lexington, Rhonda Richardson of Somerset, and Michael Richardson of Somerset; grandchildren, Dustin Sexton, Tyler Coe, Jessica Bryant, Holly Coe, Tiffany Hill, Carolyn Coe, Donnie Richardson, Brittany Richardson, Randy Richmond, Megan Stephens, Lashae Heath, Jaylin Heath, Dylan Genoe, Kiera Tucker, Mason Heath, Zach Heath, and Kaydee Heath; many great-grandchildren; and several great-great-grandchildren. Ruby was a member of the Beulah Heights Church of God. She enjoyed canning, listening to others sing to her, and sitting on her porch drinking coffee and smoking her cigarettes. But above all things, Ruby was very family oriented and enjoyed taking care of those dear to her. Funeral services will be held on Friday, August 17, 2018 at 2:00 pm in the chapel of Pine Knot Funeral Home with Bro. Dow Goodin officiating. Burial to follow in the Barren Fork Cemetery. The family will receive friends on Friday after 12:00 noon until time for services.